Happy Monday! And it is a Happy Monday as I have some exciting news to share! 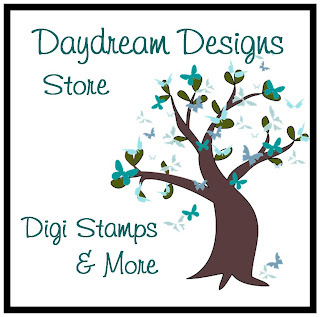 There is a new Digital Stamp store in town called Daydream Designs. The owner, Diane Noble, contacted me and asked me to be on the Dream Team! Me! Can you believe that? Well, I excepted and I have to tell you Diane has been super patient with me as I try to get the hang of this digi-thing and I hope that all of you will be kind to me as well while I learn the digital process. You can be honest, just be kind. Today I have my first project to share with you. I used the Dancing Leaves set. 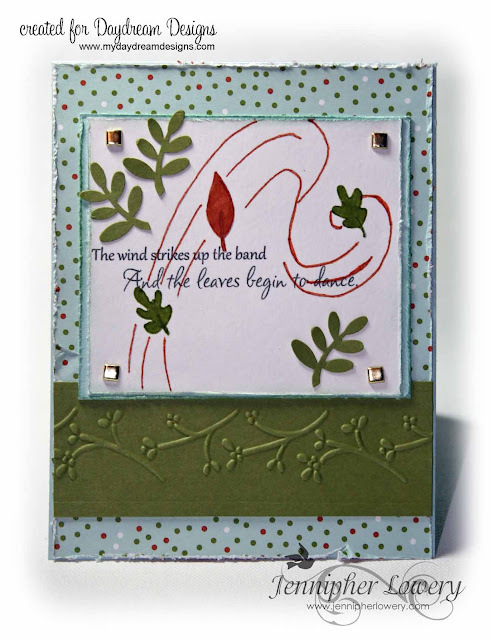 Supplies: Dancing Leaves by Daydream Designs; Fall Flowers DSP by SU; Soft Sky CS, Old Olive CS; Cuttlebug border embossing folder; EK Success Leaf Punch; Gold Square Brads from stash. Remember, I rarely work with digis so I have a lot of learning to do. Mostly I have to figure out how to incorporate them into my style and getting them sized to fit on die-cuts and Cricut cuts. Smashing card Jennipher and so well put together !! Thanks for joining us this week at The Crafty Pad !! This is so pretty. I love the dp that you have behind the dancing leaves. It compliments them so well. I hope you have a blessed day! Jennipher, this card is just Dieliscious! Thanks for sharing it with us at The Crafty Pad this time! Congratulations Jennipher on your new DT position... well deserved! I love your first "digi" card! 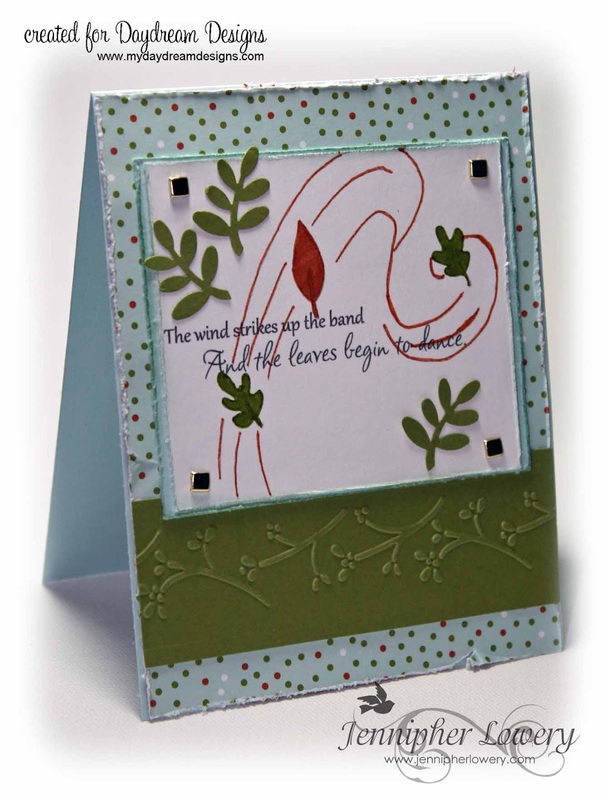 Wonderful coloring and embossing! Fabulous sentiment! 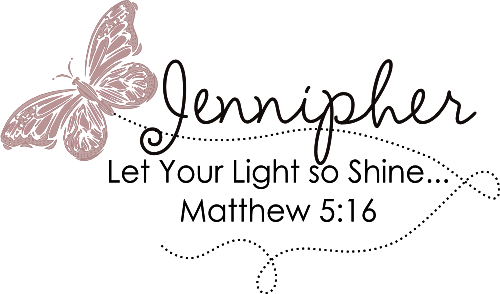 Congratulations, Jennipher! Fabulous card. Great sentiment and well used in the design. You're going to be fantastic with digis. You'll see. :-D Hugs. Hi Jennipher!! Wow, what a gorgeous Fall card!! I just love your distressed papers (my favorite technique) and the punched leaves adds a special touch to an already lovely sentiment!! Happy to be a Daydreamer with you!! Congrats to you! Great card! I am not too practiced with the whole digital thing, plus I have to share the printer...usually quicker to grab a stamp LOL! Thanks for playing along at THE CRAFTY PAD this week.